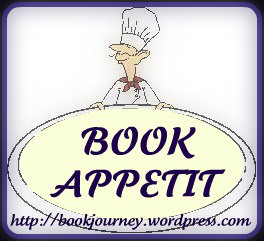 Book Appetit! Dewey Read-A-Thon Mini Challenge! A food imagination challenge from Dewey’s Read-a-Thon. I think I’ll do this for other books at other times of the year. Hey read-a-thoners!!!! Watcha reading??? Are you getting a little hungry while reading?